Should a client have an existing MBES dataset which does not meet expectations, our team can help. We have years of experience analysing, undertaking quality control and identifying problems in multibeam data, from Vessel, AUV and ROV mounted platforms. In many situations, once the root cause is established, corrective algorithms can be applied and the data salvaged. This saves a re-shoot, or reduces engineering risk mitigation strategies where the nature of the seafloor is not truly understood. We not only QC, but can recover the quality you had hoped to achieve. 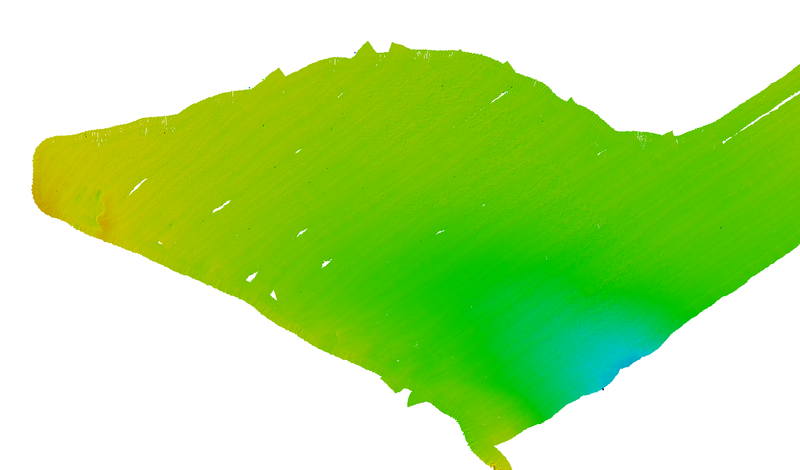 For benthic habitat mapping projects, a seamless seafloor ready for topographic position index (AKA Bathymetric Position Index) and rugosity computation is the first step in any marine environment management program. Having confidence in knowledge of the seabed topography is a primary layer of any management program. This data is often acquired on small vessels of opportunity, pushing the operational weather window. Guardian QC will review the data at no cost to the client, and if we can improve it, we will then estimate the cost and the level of recovery achievable. This service removes all risk from the client and permits the service to be fully transparent. Below is an illustration of QC results from a nearshore MBES project with Kongsberg Multibeam. The data here is shaded identically, and no manual editing has been performed on either dataset. Where our Multibeam QC service differs from others is in our ability to not only identify the issue, but also if possible, to repair it, thereby returning conditioned data to the client. This data conditioning sits seamlessly within an existing data flow. INSTRUCTIONS: Move the slider left or right to closely review the improvements possible when the root cause is established. 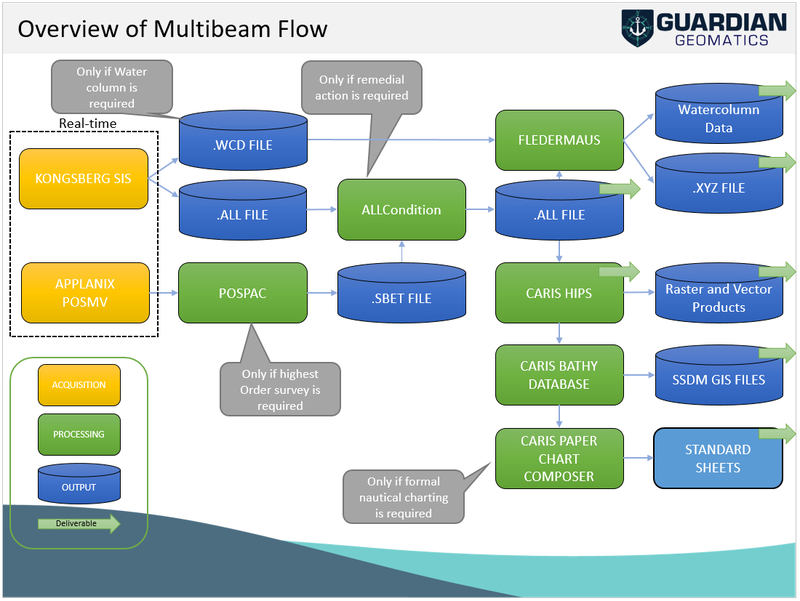 Below is an illustration that overviews the Multibeam Flow. For more details on our Multibeam Echo Sounder data products (MBES), please see the Geophysical page which discusses the various products and how they are generated.